THE Lions Club in La Cala de Mijas has donated a generous €2,000 to DEBRA Spain, the charity for Butterfly Children. A cheque was presented to Minerva Quijera, head of fundraising at the Butterfly Children Charity, outside the Lion club’s shop in La Cala. 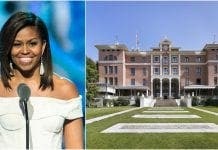 Butterfly children suffer from a rare and debilitating skin disease – epidermolysis bullosa – that leaves them with skin as fragile as butterfly wings. This donation will help the charity maintain projects such as the Respite Home in Marbella, where those suffering from the condition can stay with their families while receiving support from the charity’s nurses, psychologists and social workers. 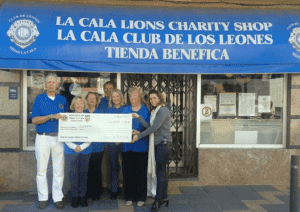 Founded in 1998, La Cala Lions Club has grown into one of the biggest fundraising groups in Spain, donating thousands of euros to charities, individuals and disaster relief appeals each year.